Please join us for our annual picnic! 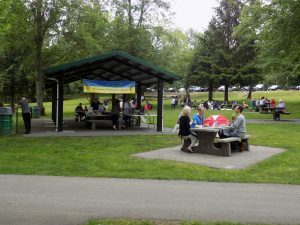 We have decided to host it again at Confederation Park in Burnaby. You can find the park North of Hastings Street just East of Willingdon Avenue. You will find our group in Picnic Area #2. A more detailed map can be found here. If you’re on Facebook, please RSVP on our event page. There will be food, games and music and hopefully sunshine!